The Grove Bookshop, 10 The Grove, Ilkley, LS29 9EG. 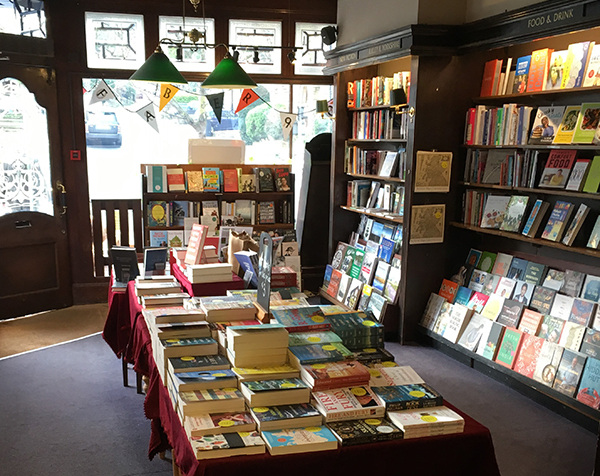 We are one of the North of England’s best-known independent bookshops and have been selling books in the pretty spa town of Ilkley for over 40 years. We are also proud to be the official bookseller for the annual Ilkley Literature Festival in October. As an independent bookshop we stock titles in a wide range of subjects including fiction, politics, current affairs and the environment, as well as Yorkshire and local interest books. We also have a World Travel Department which has a great range of maps, guides, coffee-table books and globes. We have a dedicated music department. Grove Music sells an extensive range of CDs (mainly classical, jazz and classic rock), as well as sheet music and accessories. The Grove Bookshop is just 200 yards from Ilkley's bus and train station, and there is a large car park to the rear. We are open 9-5.30 Monday to Saturday (Books and Music), and 11.30-4.30 on Sundays (Book Dept only). Copyright © The Grove Bookshop, 10 The Grove, Ilkley, LS29 9EG. All rights reserved.